With the European races all done and dusted, Formula One heads to Singapore for the only night race on the calendar. Teams and drivers are preparing to light up the city with fabulous action, but have the challenge of staying on a different timezone to everyone around them. Sebastian Vettel has the chance to win the championship this weekend, and if all goes as smoothly as the rest of his year has, then it could happen. However, there are plenty of drivers still up for a race by race fight, so it may not go all Red Bull's way. F1 returns to a street circuit after the low downforce track at Monza. We've got twists and turns, along narrow streets, with the twilight lit up by dazzling floodlights. Red Bull were strong in Italy, when they thought they wouldn't be, and Singapore may suit their car even better. The challenge of Singapore will be the key distinction - from fighting tiredness, to coping with the weather, it will be down to the drivers and the pit crew to make sure everything goes to plan. 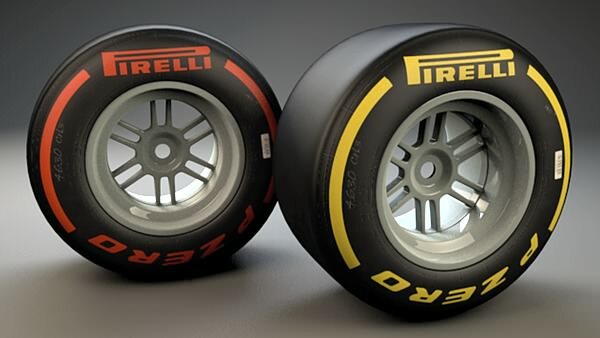 We've got just the single DRS zone in Singapore as well, after the FIA tried their hand at double DRS in Monza. Singapore hasn't been known for fantastic overtaking opportunities, so it will be interesting to see how this year's regulations make a difference. Support racing for this event includes JK Racing Asia Series and Porsche Carrera Cup Asia. Weather prediction is tricky at the Marina Bay Circuit - we know we're expecting rain every single day for the next four days, but it's going to be hard to know when it will fall and if it will affect the track action. Along with the showers, the temperatures will be high, so there's the possibility of thunder and lightning as well. Singapore boasts one of the longest laps on the 2011 calendar, and with over 60 laps to complete, it's a race that runs closer to the two hour mark than those before it. If you throw in the likelihood of a safety car - 1.7 average per race - then the duration is extended even further. 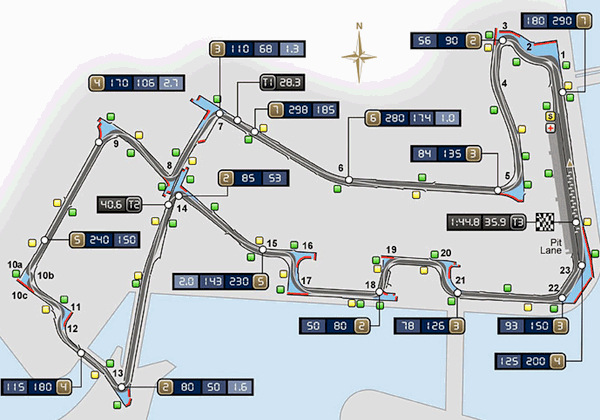 The top speed around the Marina Bay track is roughly 302kph, but the average is only 172kph. Travelling through the pitlane will lose drivers about 30 seconds on their regular lap time. As a street circuit, the track surface can be changeable and grip will improve throughout the weekend.